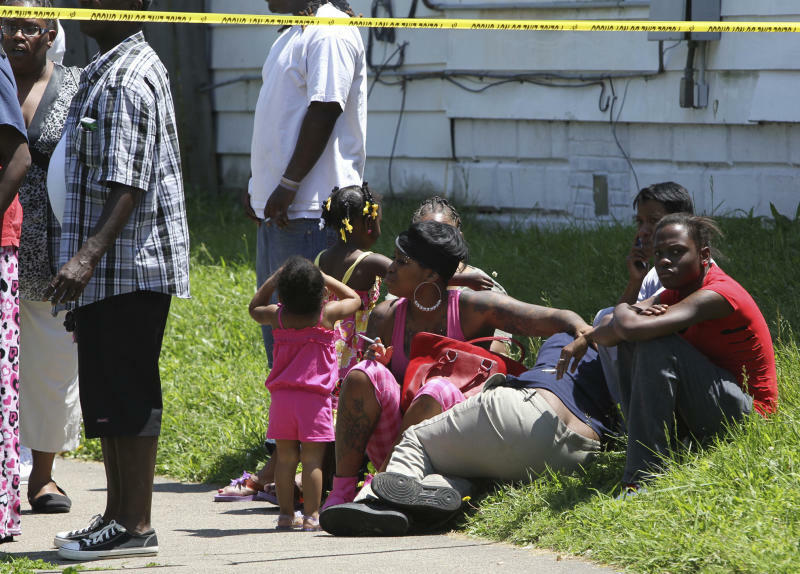 LOUISVILLE, Ky. (AP) — Three people were killed Thursday after a chaotic shooting scene that had crowds running for cover in a crime-ridden section of Louisville. 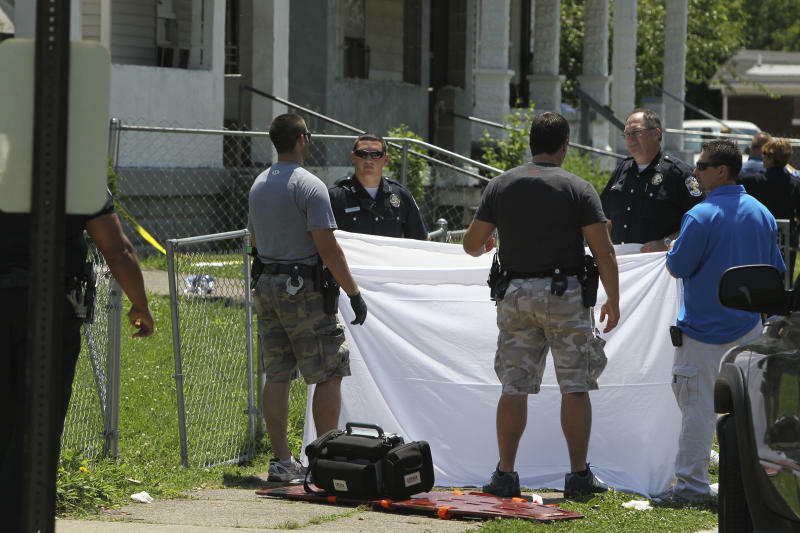 Two men — Tyson Mimms, 24 and Craig Bland Jr., 22 — were killed Thursday afternoon in a shooting that attracted dozens of onlookers anxious for answers in the city's Russell neighborhood, which is dotted with boarded-up houses. As police investigated and a host of media gathered nearby, shots rang out about four houses down. Makeba Lee, 24, was killed after she was shot by a woman who had gotten into an argument with her about the incident, police said. That woman was later wounded by police and taken to the hospital, Louisville Metro Police Chief Steve Conrad. Jefferson County chief deputy coroner Jo-Ann Farmer identified the three slain people on Thursday night. Police have not released a motive for the first shooting, which also wounded at least three other people. There appears to be no connection between the slayings, Conrad said. "We had people at the scene yelling," said Conrad, who spent his day in the neighborhood west of downtown working with officers in that precinct before the shootings. "I don't know if that played a role or not. This level of violent behavior is unacceptable." 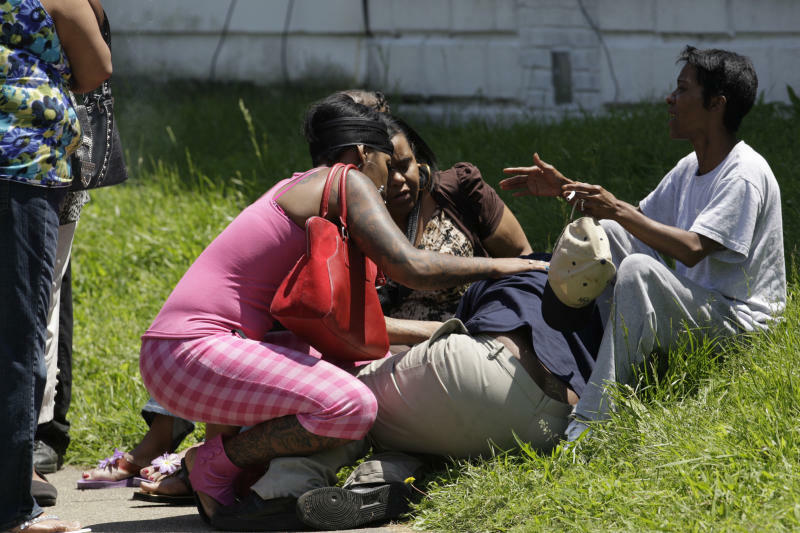 The shootings made the day the bloodiest in Louisville since at least July 5, 2011, when four people were killed, and Oct. 6, 2008, when a mother stabbed her two children, then killed herself on the same day two other homicides took place. Tekeya Anderson said the female victim in the second shooting was her cousin. "I guess she was in the wrong place at the wrong time and she got shot," Anderson said. "She came down here and she got shot."